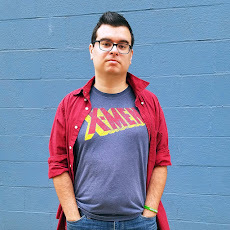 Jeff Nimoy is a man of many hats n the production of the dubbed version of Digimon in the U.S., serving as a writer, director, and story editor as well as voicing many characters, must notably Tentomon and his digivolutions. Jeff worked on the first two seasons of Digimon: Digital Monsters, directed Digimon: The Movie, and returned to write Data Squad and produce four more TV movies. In this interview, originally conducted back in 2015, I talk to Jeff about Digimon, dubbing, food, and more. 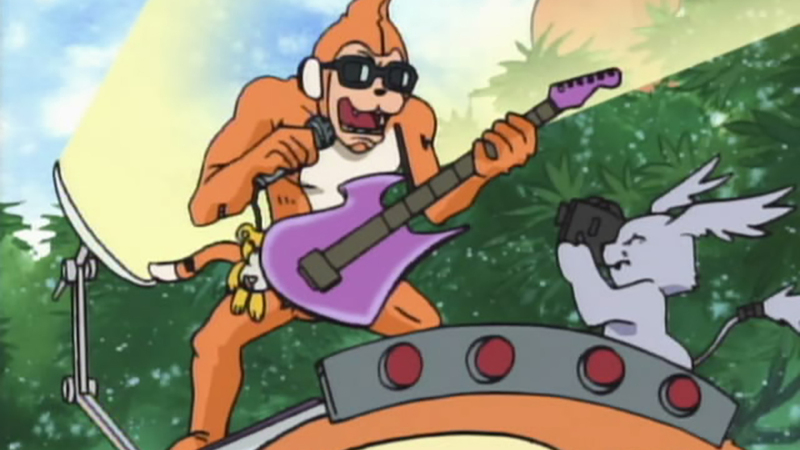 The Modern Gafa: One of the staples of the Digimon dub is the use of impersonations of classical Hollywood actors/characters for many of the Digimon villains and allies. This never happened as much in Power Rangers as it did in Digimon, but it has been done in seasons you didn’t work on. So would you say this is a Nimoy thing more than a Saban thing? Where exactly did this come from and why? Jeff Nimoy: I'm not sure who's "thing" it is, but I had all these talented actors who did these great impressions, so I thought I'd try to work them in from time to time. I did the same thing with every comedy show I ever worked on, but it doesn't seem to work as well with a drama like Naruto. All I know is, if you have a Wally Wingert (BanchoLeomon) or a Tom Fahn (Agumon and others) for instance, and you don't use their celebrity impression talents, you're not utilizing everything at your directing disposal. It's all in good fun, and it makes for a lot of laughs during the recording sessions. TMG: Another staple of the Digimon dub is the changing of character names. It was happening with a lot of anime at the time, but Digimon did it in a unique way, subtly keeping the original Japanese names but using “nicknames” instead. What was behind these decisions? Why were some names completely replaced (Davis, Cody, the Daimon family) while others were slightly altered (Tai, Kari, Izzy) and others were left totally alone (Mimi, Sora)? And what is T.K. supposed to stand for, anyway? JN: All the names came from Toei Animation and Bandai Toys. When you make a TV series in 2 languages, there's a lot of coordination going on so you're all on the same page. On a rare occasion, they would ask for suggestions on an English character name, and I believe Yolei and Cody in season 2 were both names we submitted and they accepted. But sometimes they just wanted the original Japanese names, and it wasn't my job to argue, it was just my job to make the show as American as possible with what I was given, whether it made sense or not. And I have no idea what TK stands for, he was named way before I joined the show. TMG: Speaking of the way many anime of the 90s were being Americanized, Digimon stands out in that regard. Other than a few things like Highton View Terrace, a lot of Japanese names for locations were kept. It seemed to be subtle at first, but by season 2 there was no hiding that the kids lived off the coast of Tokyo, Japan. Why was it that the Digimon kids were “allowed” to be from Japan while other dubs at the time tried to pass of the Shinjuku District for Manhattan? JN: As I mentioned just now, I wasn't with the show when they first brought it to America. I started writing around episode 14, and not every episode at first, that came a little later. A little while after that, I started directing. I remember asking this same question to the producers during my first time directing. "Why are we saying we're in Tokyo, when all the kids look and sound like they're from the American suburbs?" It didn't make sense to me, and I actually suggested we make the location of the show America, but they wanted to keep it in Japan, so I tried to make it work, pretty much by ignoring the fact no one looked or sounded Japanese. Lol. TMG: As someone who runs a blog and a dating site based around food, what can you say about all of the many, many dub-only food related jokes throughout Digimon? Sometimes it feels like more than half of the added comedy in the series can be related to food. Was this your influence? JN: I really didn't realize food related jokes were that prevalent! I'm sure it's because food is always on my brain, and it just snuck in through my writing. Lol. But I do remember that Davis and Veemon should always be hungry, no matter how much they've already eaten. And in Digimon Data Squad, it was in the original Japanese that Agumon could eat forever without ever getting full, so we definitely had fun with that too in the English Dub. TMG: Digimon: The Movie stitched three unrelated short films together with the Willis plot being a loose connection between the three segments. A lot of things got cut and edited, especially during the third segment. What was the production like on this? Who made the big decisions about what to keep and what to cut? And where did that Angela Anaconda prologue come from. JN: This is a major question that I could literally write a book about, so the answer is long and complicated. But to give a short answer, I just wanted to use the first two films strung together, with Tai narrating, and end it after the "Our War Games" segment. Then I wanted to release the third movie separately as a TV special or a DVD release. But at the last minute, I got voted down, and was told the third movie was going to be a part of it, and I had to make it work. The Willis story line was created to tie that third movie into ours, but I was never happy with it, thinking it was really confusing, and unneeded, but my protests fell on deaf ears. I changed the narrator to Kari because Tai wasn't in the third movie. I cut as much out of the third movie as they would allow me, so I guess I made those decisions, but under strict supervision from Fox Kids. They were worried about the length of the movie without the third segment. Ironically, I didn't even see the Angela Anaconda prologue until the premiere. If I had known, I could have argued we had the right length if you include the Angela Anaconda short, but I never knew about it. TMG: In episode 19 of the first season, dubbed “The Prisoner of the Pyramid,” there is a moment where two lines of dialogue, “Biyomon, over here!" and "I'm coming,” are heard. These lines have no relation to any on-screen characters and are in fact played OVER a conversation between Matt and Gabumon. What makes this even more baffling, these lines are clearly provided by a small child and not any of the dub’s regular voice actors. So… What the hell? Where did this come from and how did it make it to air and never get edited out of future reruns, DVDs, or Netflix? JN: Lol. Well, I'm going to chalk this one up to the show having too many directors and producers at that time, and this one fell through the cracks. There were no less than 4 different directors when I started working on Digimon, and that usually spells inconsistency, and confusion. Also, there was a producer change going on around that time, so who knows who was doing any quality control for that episode. When a new producer was selected, I was picked to direct full time, and the rest is history. TMG: You have said that you love Digimon. You’ve also worked on other dubs, so what makes Digimon so special to you? What characters and stories were your favorite to write for? And why do you think Digimon keeps coming back every few years? JN: What makes Digimon so special to me was it was my first bonafide hit on TV, and it gave me the opportunity to voice direct and write the adaptation to a major motion picture released by 20th Century Fox. 1800 screens for a movie is a big deal in Hollywood, and I still enjoy the benefits of it today in the form of a good reputation as a guy who can deliver on time and under budget. In terms of the show itself, I did love the characters, but I especially loved the actors who I got to work with every day. Richard Epcar (Etemon, Myotismon, Merukimon) and I would have to schedule 2 sessions, because we laughed too much to get all the work done in 1 session. My favorite characters from the first two seasons were Joe, Mimi, Tai, and my favorite villain was Etamon, with the Dark Masters being my favorite storyline. TMG: Everyone always asks you questions about their favorite TV show, whether it be Digimon or Naruto or something else. But what about you? What was your favorite Saturday morning cartoon? Was their a show growing up that you couldn’t miss or could watch over and over again? Why was it your favorite and do you still revisit it now as an adult? JN: When I was a kid, Saturday morning TV was my church. I turned the TV on as soon as I woke up, and didn't stop until all the shows were over around noon. There were way too many to choose from to say just one was my favorite, but I will say that Bugs Bunny is the single biggest comedy influence on my life. I can watch them all again today and remember almost every word! TMG: Jeff, thank you very much for taking the time to talk to us. It was great to be able to talk and learn a few nuggets about my favorite show. JN: Thanks for the interview! 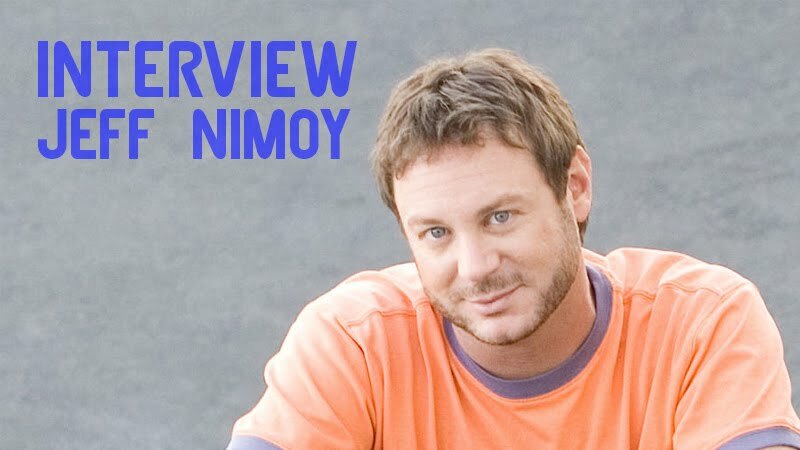 Emmy Award winner Jeff Nimoy write and directed many, many episodes of Digimon: Digital Monsters where he also starred as Tentomon and his evolutions. He wrote and directed the theatrical animated feature Digimon: The Movie and its TV sequels. He returned to write and direct Digimon Data squad in 2007. 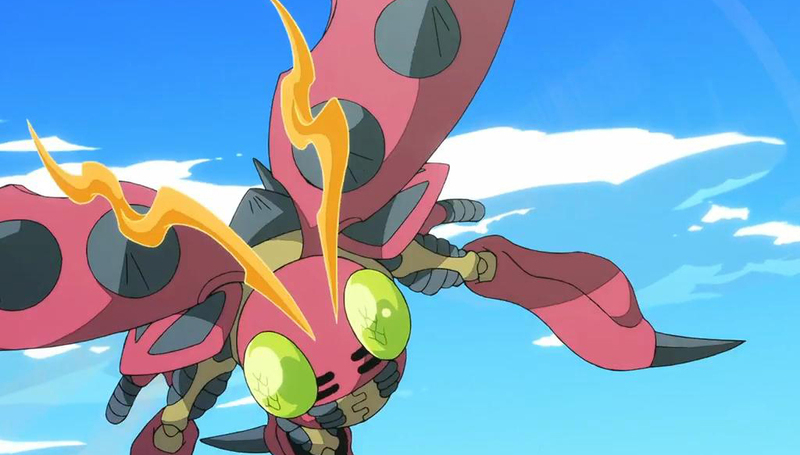 In 2016 he reprised his role as Tentomon in Digimon Adventure tri. Chapter 1: Reunion, available on Blu-ray and DVD this May. You can keep up with Jeff by following him on Facebook, Tumblr, and on Twitter.